If her records are verified by the Gerontology Research Group of the Guinness World Records, Francisca Susano of Kabankalan, Negros Occidental just might be the oldest living person in the world. 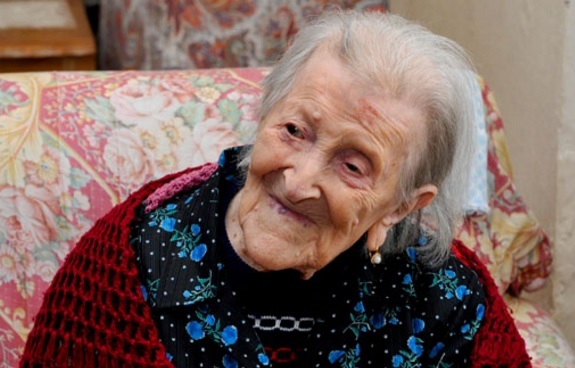 Born September 11, 1897, Francisca is now 118 years old. 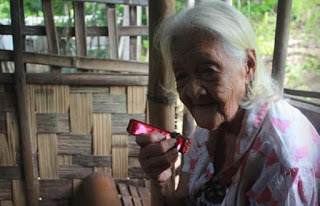 She still looks young for her age, can walk unassisted, still hears well enough, and can even play the harmonica, according to CNN Philippines. Francisca may just be two years older than Emma Martina Luigia Morano of Vercelli, Italy, who was born on November 29,1899. Emma is currently considered the oldest living person in the world and her records have already been verified by Gerontology Research Group back in May of this year. Maybe a lot of you are thinking that the two ladies must have something in common for living up to their ripe old ages. But a comparison of the two, reveals that they lead very different lives. Whereas Francisca has more than 100 grandchildren, great-grandchildren and great-great grandchildren, Emma left her husband in 1938 after a tragic loss of her child. Emma never had a child after that sad loss and is still living on her own. As to their secrets for their longevity, each of these supercentenarians (people who live past 110 years) pointed to very simple but different diets. Francisca said she loves fresh vegetables right out of their farm. She said she cooks the veggies without any additives, take note! Meanwhile, Emma has the same diet for the past 90 years. According to Guinness World Records' website, she takes "three eggs per day (two raw, one cooked), fresh Italian pasta, and a dish of raw meat". The Guinness World Record holder for the oldest person is Jeanne Calment of France, who lived for 122 years and 164 days.